Dallas has begun to look like a big city. 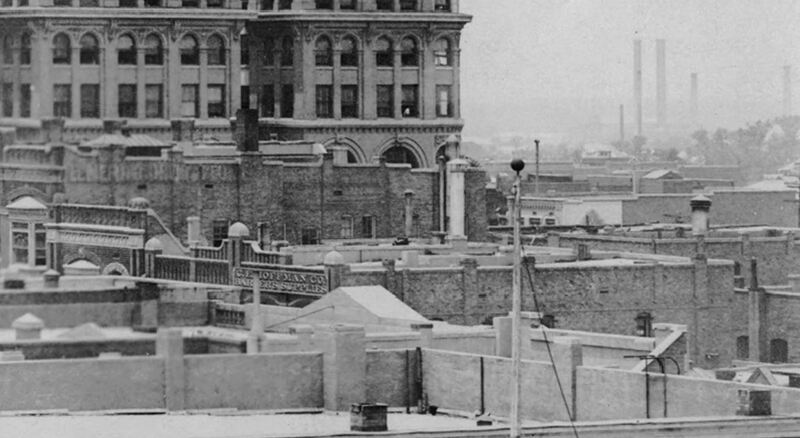 Below, the building on the right with the steep steps is the old Post Office/Federal Building at Ervay. 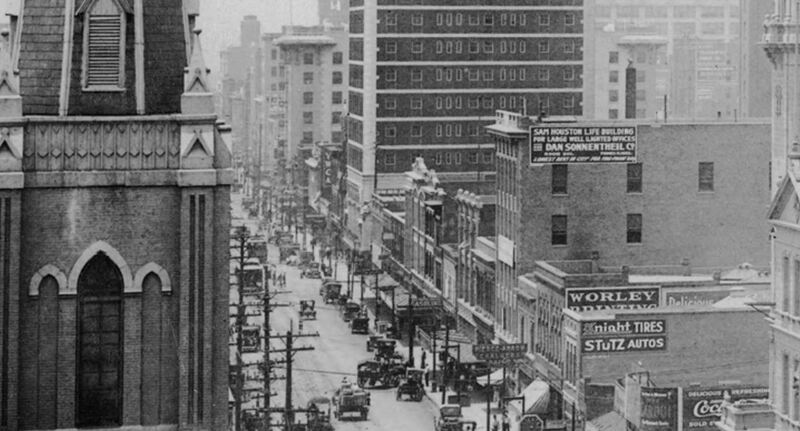 The Mercantile Bank Building was built on that site in 1942. 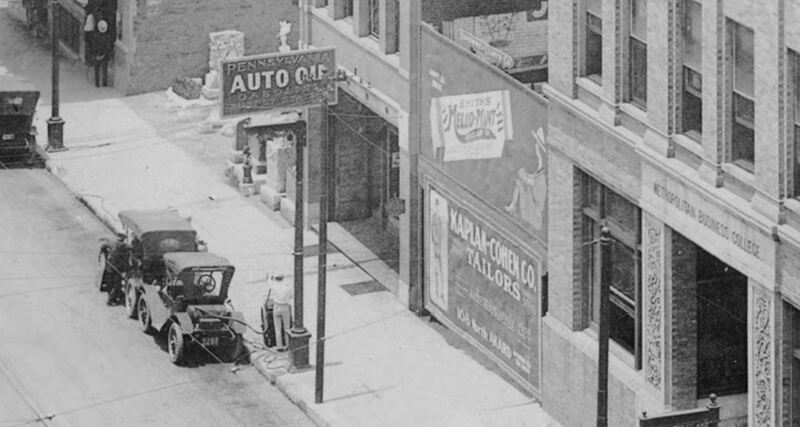 I love the detail below for a couple of reasons: first, the car at the curb at the lower right is parked next to what is purported to be the first gas pump in Dallas (the sign next to it that looks like a stop sign says “Oriental Oils” — more below); secondly, the ratio of cars to horses is pretty even. 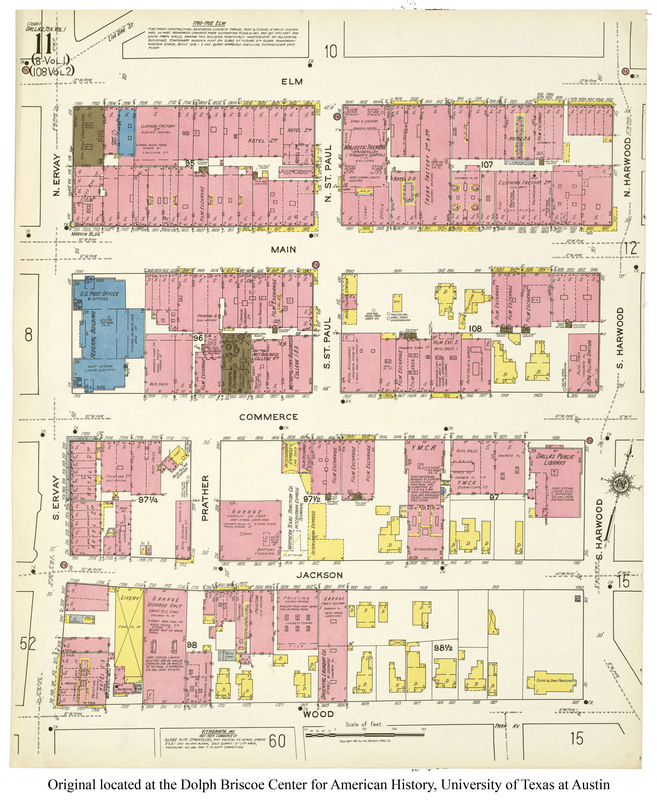 A block east of the Oriental Oil gasoline feuling station is the Pennsylvania Oil Company feuling station, at 1805 Commerce. When I first saw this last year, I was so excited to discover this seemingly mundane little detail that I wrote an entire post about these early curbside gas pumps (read “Oriental Oil Company: Fill ‘er Up, Right There at the Curb” here). And a couple more close-ups of this exotic thing which I still find inexplicably fascinating. So many wires, and tracks. The Harwood streetcar is cool, but that streetlight is cooler. 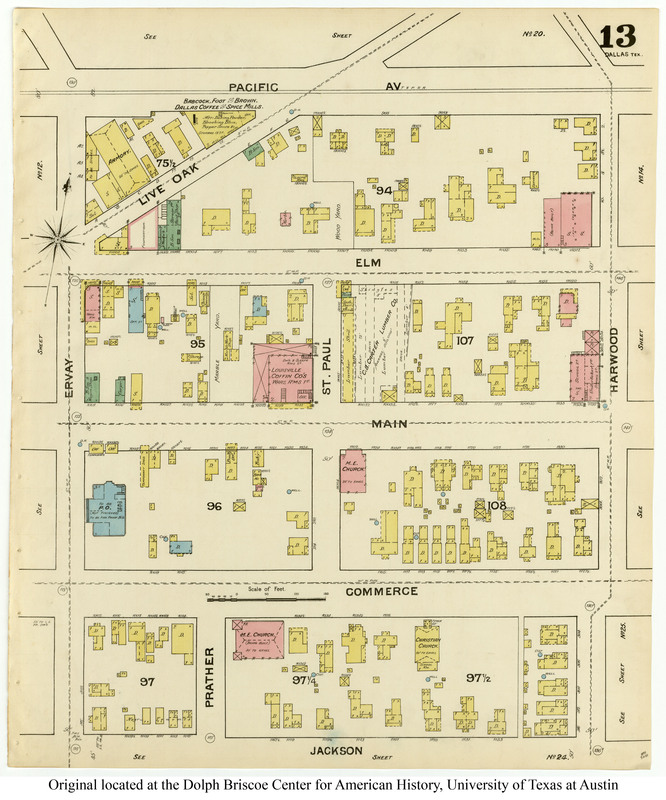 Below, a listing of most of the businesses seen along this stretch of Commerce, from the 1913 Dallas directory. 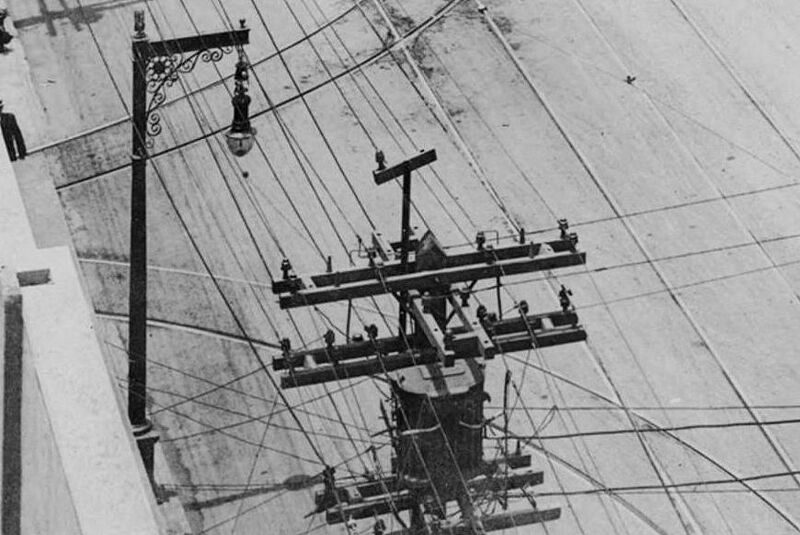 Original photo is titled “New Skyline from Y.M.C.A., 1912 & 1913,” taken by Jno. J. Johnson, from the DeGolyer Library, Central University Libraries, Southern Methodist University; it can be viewed here. I have corrected the color. The current Google Street View of Commerce looking west from St. Paul can be seen here. Very different. All of these images are really big. Click them! What is the new building under construction? Doesn’t look like the Davis, but in a similar location. 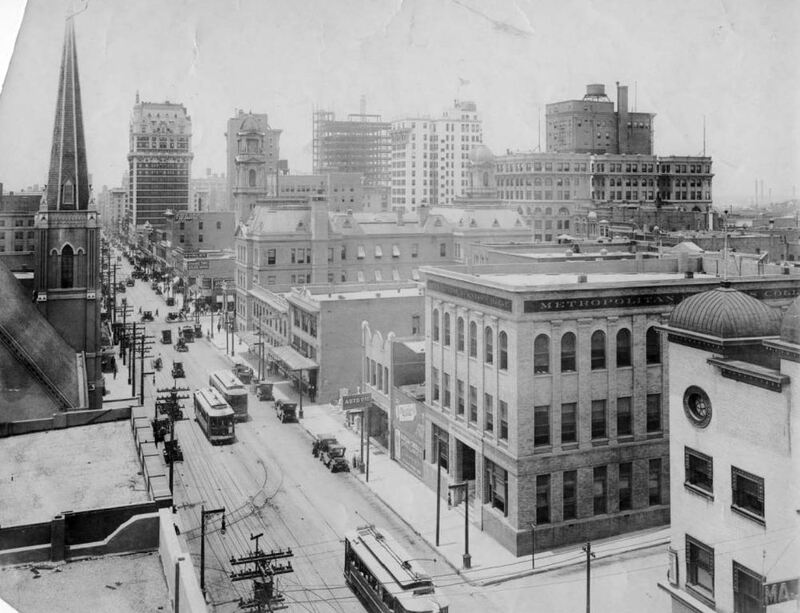 The SMU info seems to indicate that it’s the Busch/Kirby Building, which was completed in 1913. For some reason I thought it was closer to the Adolphus. It was close. I worked in that beautiful Kirby Building in 1958-1960. 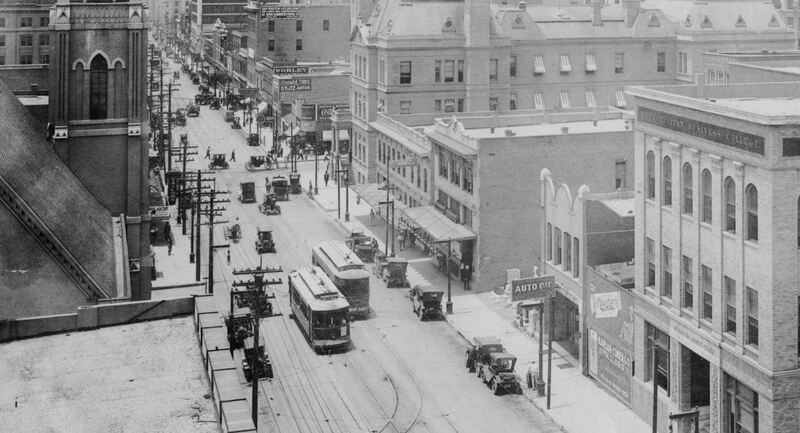 Katty corner was the back of Adolphus Hotel and named Adolphus Tower. I worked there in 1958 tax season for Cox & Cox Oil Producers (yes the SMU business school Coxes). I think all in the tower were offices. So many details. Like the car related signs: Pierce-Arrow, Stutz Autos, Knight Tires. 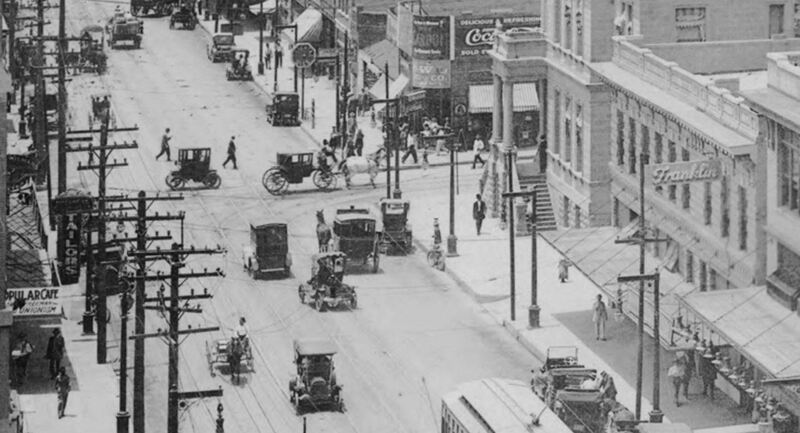 It was the beginning of the rise of the auto and the death of the streetcar in the US. It is also cool to see the Busch Building (The Kirby Residences now) under construction at the top center of the photo. The auto had a right hand drive. Amazing detail from the first photo, well done. Again the great things we are to now realize in this century was not even a scratch on the chalk board, in the last Quarter century….and the Internet and Paula’s eye for detail has made this a great site to realize and respond kind of like a talking book or images from now on………..Thank You.. 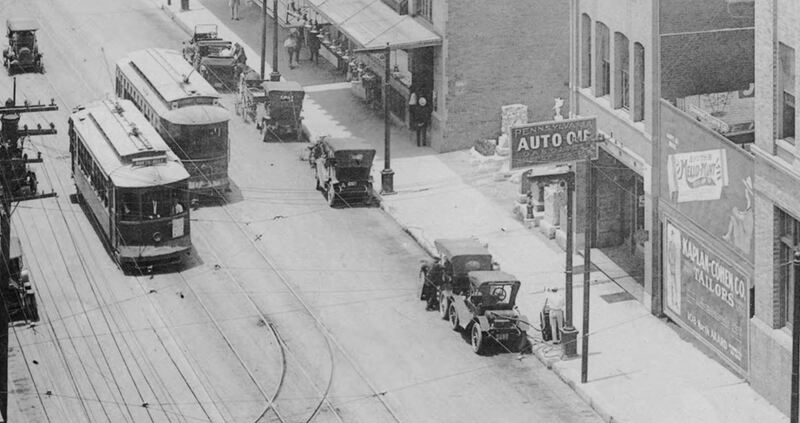 The very boxy little automobile heading south in the sixth image down is likely an electric. 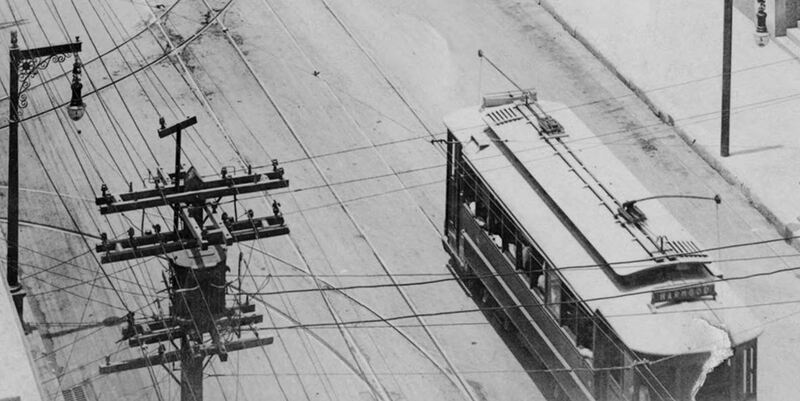 Electrics were mostly enclosed and used by ladies for in-town driving. 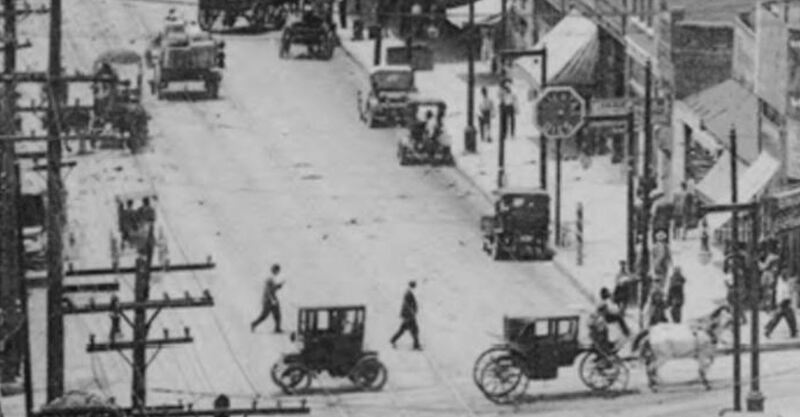 You can use the google image search “Baker electric car” for a number of very similar ones.Driving from the left side of the car was first significantly used in the Ford Model T of 1908, but as you can see there were plenty of RHD cars still on the road in 1913. Thanks, Bob. Someone mentioned elsewhere that that was probably an electric car. Too bad those things were never really allowed to catch on!